Since East and West increasingly meet under unlikely circumstances it might be wise to remember two myths - one Eastern, one Western - which provide a caution to the human race. The Indian myth maintains we are living in the age of Kalyug, which presages the end of the world. Kalyug is characterised by speed. Speed, being the enemy of reflection, will spread fantasy with such velocity that humans, in their pursuit of escape, will ultimately destroy themselves. The Western myth, as expressed in Goethe's Faust, introduces the devil as a poodle, welcomed as something harmless and amusing until it turns into the implacable force that exacts damnation as a goal - from Gita Mehta's Karma Cola. Collaborations is a lavish boxed set compiled by Olivia Harrison to mark Ravi Shankar's 90th birthday in 2010. Available in a limited edition, the multi-disc compilation celebrates the collaboration between George Harrison and Ravi Shankar with a beautifully produced 56 page hardcover book and re-releases of three Harrison/Shankar albums plus the first DVD release of archive footage. The three albums, which are seen in the accompanying images and have been out of the catalogue for some time, are Chants of India (1997), The Ravi Shankar Music Festival from India (1976) and Shankar Family and Friends (1974), and the video sequence is from a 1974 Royal Albert Hall concert. 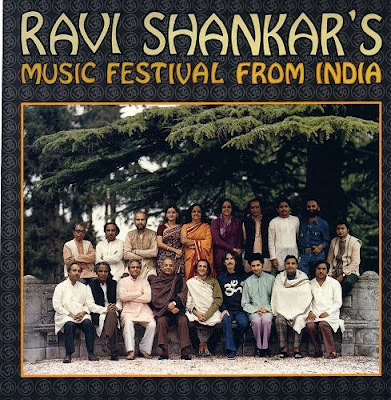 Ravi Shankar and George Harrison can be seen in the middle of the front row in the cover photo above. Loving is the only word to describe the presentation with the CDs presented in three-quarter size reproductions of the original LP sleeves together with facsimiles of the original sleeve notes. 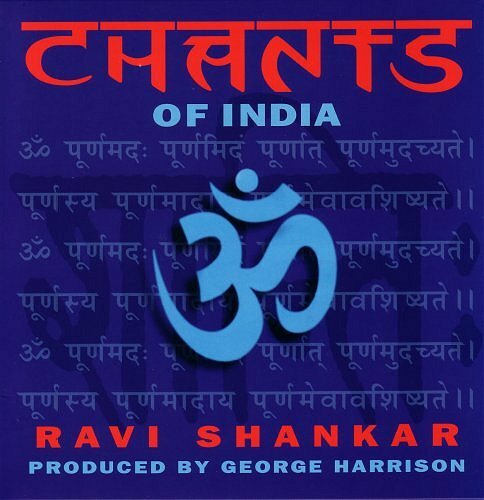 Academic rigour is less in evidence however; although the provenance of the albums can be pieced together from the supplied documentation some information such as recording venues and technology is incomplete - presumably Chants of India was recorded digitally in 1997 whereas the other albums were mastered from analogue originals? And with a total playing time of just over two and a half hours for the three CDs and a price of £48.97 from Amazon UK Collaborations will not win any value for money awards. Sonically however the transfers, including the DVD content, are superb, with the two albums from the 1970s delivering the signature slam, clarity and separation found in the great studio recordings of that pre-digital era. 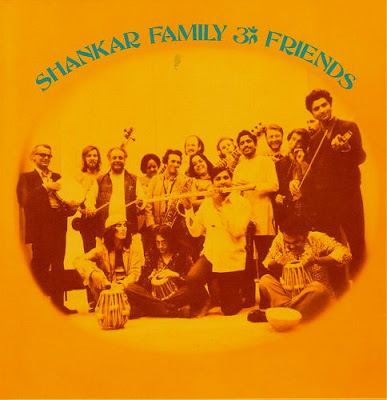 The line up of musicians is also pretty starry, Shankar Family and Friend includes Billy Preston, Ringo Starr, Klaus Voormann and "Hari Georgeson". Musically there is no pretence of authenticity. 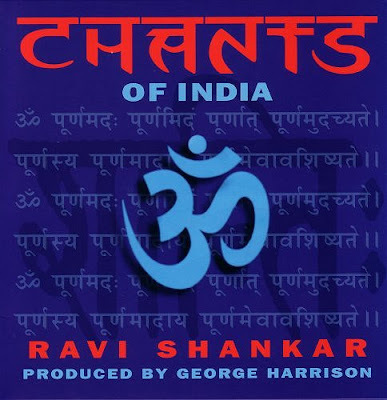 Although the highlight of the box, Chants of India, sets traditional Sanskrit mantras, the music, complete with heavenly choir, is all composed by Ravi Shankar, as it is on the other two albums. Musical authenticity is a dubious concept at the best of times; in Indian music, which relies on improvisation rather than notation, authenticity becomes a solecism. Shankar and Harrison's syncretic Chants of India may be stylistically and spiritually incorrect by today's standards, but they are no less valid than Jan Garbarek and the Hilliard Ensemble's re-imagining of the music of the Mother Church and countless similar ECM albums. Collaborations is one of those releases that listeners either love or hate. Which is not a bad thing, we need more polarising projects like this and less consensus culture informed music salads. Love it or hate it? I know which side I am on. For as Ravi Shakar said - "Get high on the music, it is enough". * Now for the album the Beatle's legendary producer George Martin described as "the finest album I ever made". Dear Pliable, I come back to Your blog after some time, and once again I find plenty of ideas and suggestions. Thank you Sergio, that is appreciated. Regular readers will know I am not a fan of charts. But I did find it interesting that in an analysis by Wikio On An Overgrown Path is ranked #13 of all UK music blogs, not just classical blogs. Which does confirm Virgil Thomson's point that we should "Never underestimate the public's intelligence, baby, and never overestimate its information".